Sign up to get emails of our seasonal specials! 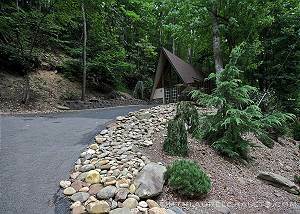 Since 1972 Mountain Laurel Chalets has served as the premier Gatlinburg cabin rental company. Nestled next to the entrance of the Great Smoky Mountain National Park, our reputation is one of service, friendliness, family and giving back to the community. "Our stay at Mountain Laurel chalets has always been a great experience. We love the variety of properties that you can choose from. The properties are always clean and we always feel right at home. We have told several of our family members and friends about our experience! Keep up the good work." Deena T.
Interested in owning a local cabin? FIND YOUR PERFECT HOME AWAY FROM HOME. © Copyright 2015 Mountain Laurel Chalets. All rights Reserved.